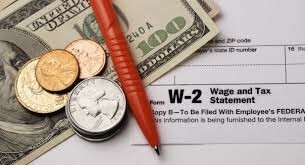 W-2 statements were mailed on Tuesday, January 31st to employees who did not opt-in for the electronic version of the W-2 or who are no longer active employees. Please allow 1-2 weeks for delivery via the USPS. We will not be processing any W-2 reprints until Monday, February 13th. If you do not receive your W-2 by February 13th, you may fill out, sign, and email back a completed W-2 request form, which is available on our webpage. Once we have the form, we will work on processing a W-2 reprint within 5-7 business days. If you are still an active employee, you can view and print a copy of your W-2 electronically while connected to the Loyola network. All you need to do is give your consent to receive the W-2 electronically by following the steps found here. Opting in will give you access to your 2016 W-2 as soon as it becomes available. It will also give you access to other recent year W-2’s. Additional information regarding electronic W-2’s may be found here. If you opted in to have your W-2 submitted electronically to Turbo Tax, your W-2 will be sent to Turbo Tax by Tuesday, January 31st. PLEASE NOTE: If you are no longer an active Loyola employee and you previously signed up for electronic delivery, a paper copy of your W-2 has been mailed to the address on file with Human Resources. This entry was posted on Tuesday, January 17th, 2017 at 5:36 pm and is filed under News. You can follow any responses to this entry through the RSS 2.0 feed. Both comments and pings are currently closed.